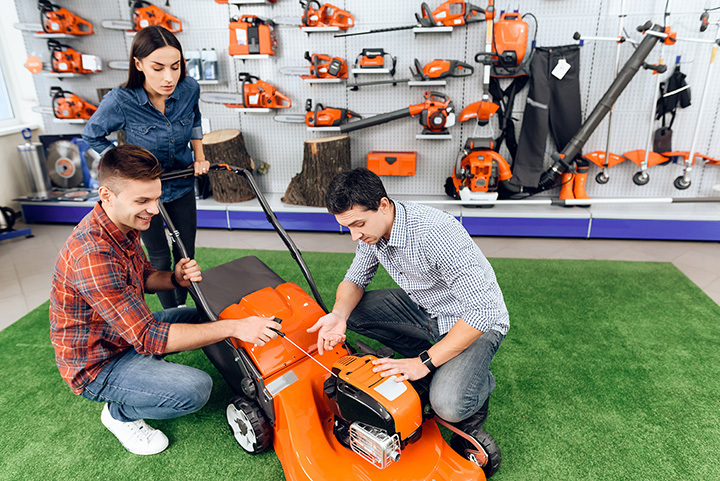 Local hardware stores are the place to go when you need information about gardening, home-improvement, repairs, and more. Not only are employees knowledgeable about the products they sell, but they can offer up expert advice on how to go about your next project. Check out these great local hardware stores in Oklahoma! Westlake Hardware employs team members who know their stuff and can help you find the right tools and equipment for any project. The store in Bethany has been helping people for years, and it’s a great place to shop. At Hardware Concepts, their mission is “to help you obtain the best possible and most appropriate look for your home's decorative hardware within the budget” you set. It’s locally owned and operated since 1995. This hardware store has the True Value backing, with hometown employees who understand the needs of homeowners and builders near the lake. The store has many services, including key cutting, sharpening and glass cutting. Noble Hardware is family owned and operated. It’s been providing service to Noble since 1985. It stocks a wide range of supplies for the home, as well as paint, lawn and garden, plumbing and disc golf equipment. Currell’s is a hometown source for home improvement. The Elk City location boasts a Benchamde Knife Dealer, a W.R. Case Knife Dealer, guns and ammo in stock. It was founded in 1982 and is a family owned and operated hardware store and lumber yard. Peters Hardware has been locally owned and operated since 1917. The goal is to keep serving the community for another 100 years. The Boehs family were local builders who entered the retail supply business in 2002. In 2009, they added a new warehouse, because they had outgrown the other space. With their knowledge of the building industry, they have the knowledge to help you with just about any repair or improvement project. Rock Hollow is locally owned, but is affiliated with True Value. You’ll find a large selection of building supplies, gardening equipment, paint and more when you shop here. In 2012, Rock Hollow was the Hardware Store All-Stars for Oklahoma named by Home Channel News. Hinton Hardware carries practically everything for making repairs or improvements to your home. Local employees are “good honest people,” who are professional and trustworthy. HCN named this hardware an all-star in 2013. Gordon White Lumber has six locations, serving both residential and commercial customers. According to its website, it’s Oklahoma’s No. 1 family owned and operated lumber yard. It also offers many other services and items.